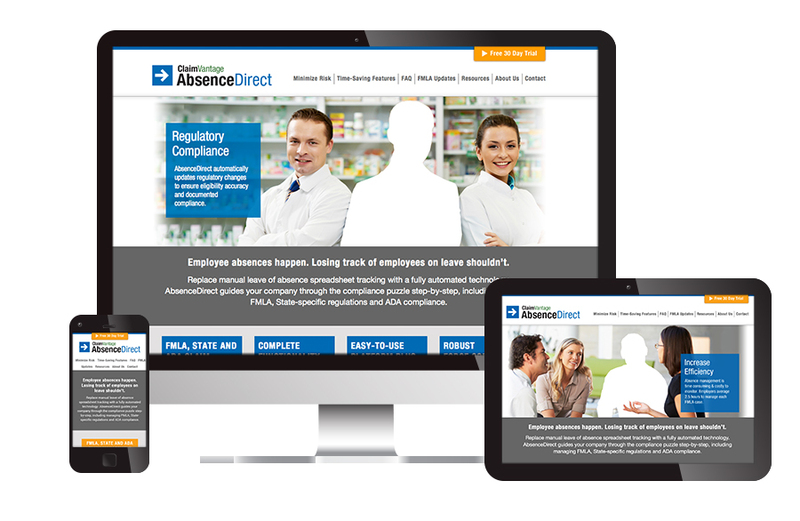 After working with ClaimVantage for several years branding and marketing their core software product, Visible Logic designed the new logo and website for their new product AbsenceDirect. 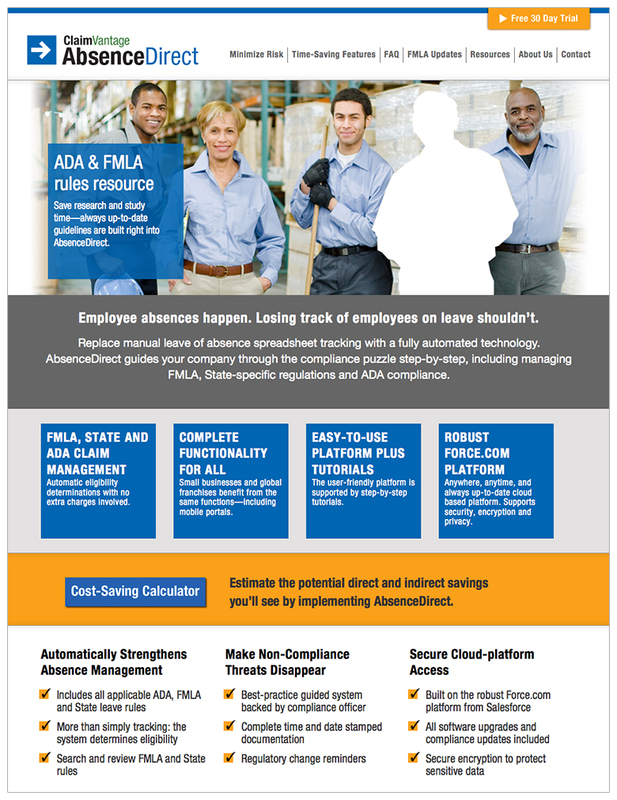 AbsenceDirect is a cloud-based tool for managing FMLA, absences and leaves. The brand was positioned under the umbrella of ClaimVantage and needed to feel visually connected to the parent site claimvantage.com but have it’s own distinct branding identity. Showing people “missing” from their workplace quickly showed the niche of AbsenceDirect. 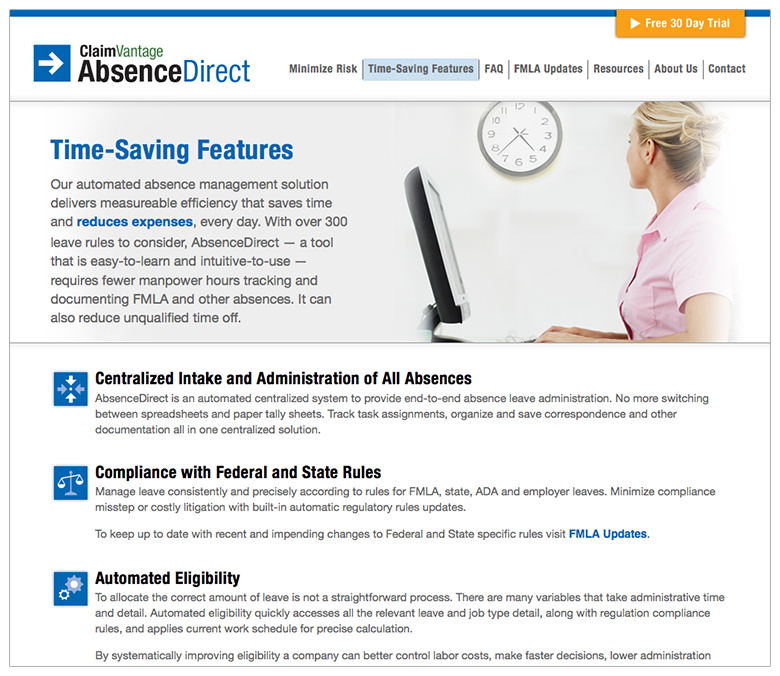 The site’s content is driven by quick-reading stats on how AbsenceDirect saves times and keeps business in compliance with FMLA law.